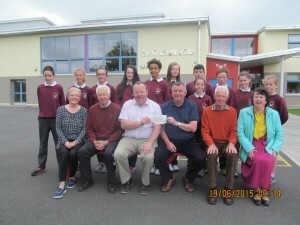 Kilmacrennan N.S wish to thank the Kilmacrennan Old School Re-Union Committee for their recent donation to the school of €541.14. Print article This entry was posted by Admin on June 18, 2015 at 2:08 pm, and is filed under General. Follow any responses to this post through RSS 2.0. Both comments and pings are currently closed.